Google Penguin is the most recent update to the Google Search algorithm, and it was made in an attempt to crack down on websites that use illegal means to beef up their page ranking. Many people deliberately manipulate search engine indexes in order to generate more hits to a non-legitimate website. These websites may look like your average, reliable website, but upon closer inspection you can usually tell which websites are fraught with spam. The content is often poorly written, everything you click on links to something else, and pop up ads are often abundant. Google Penguin was released on April 24, 2012 as an update to the last algorithm released in February 2011, called Navneet Panda. Penguin’s algorithm determines if a website uses these faulty page-ranking methods, and down-ranks them. If you are looking to maintain a high page ranking with Google Penguin, you can start by avoiding any of these tactics at all costs. These so-called ‘black hat’ search engine optimisation techniques will bring down one’s page ranking. They are so notorious because they illegitimately manipulate the searching process in order to promote their website, however lacking it may be in relevant content. There are many popular fraudulent link schemes that one would have to avoid participating in in order to maintain a high page ranking in the era of Google Penguin. Since page ranking is partially determined by the amount of reputable webpages the site was linked to, people would exploit that quality in order to have a high page ranking. They would needlessly link to unrelated websites in the hopes that their website would become highly ranked. Sometimes, a group of webpages would support each other, which is known as as link farming. They may also register several domain names for their site, and have them all link to one another. Another move that will lower your page ranking is using link-generating software that automates the search engine optimisation process. Many websites include unrelated yet popular keywords on their page in an attempt to attract more popularity and generate more hits. Sometimes they will make these keywords invisible, so that their keyword stuffing is not so obvious. People will needlessly duplicate the content on their webpage in an attempt to make their website appear more pertinent to the subject to a simple search algorithm. Though the user will quickly realise they arrived at a useless site, one visit may be all they need in order to get infected with a malicious virus. Spamdexing is another widely used technique in an attempt to generate short term hits and a high page ranking. It may have worked in the earlier days of google, but now it will decrease your page ranking overall with Google Penguin. Spamdexing is the deliberate manipulation of search engine indexes. People who use spamdexing on their website manipulate the prominence of the resources indexed in a manner inconsistent with the purpose of indexing system. They are making their website appear more relevant to the topic than it actually is. Expired popular domain names will often be picked up by spammers, and redirect people who were looking for the original website to malicious sites. They may or may not fashion their website to look like the original one, in order to trick more people. 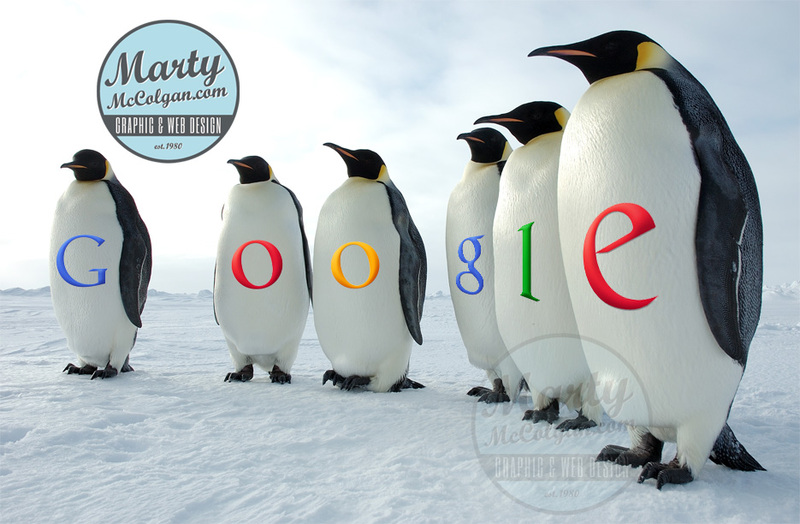 Now you know things to avoid in order to have a high ranking with Google Penguin. Here are some things to do in order to make your website highly ranked. First and foremost, it is important to have unique, quality content. If your site is useful, it will have a good reputation, and your visitors will stay longer. Websites that hold their visitors attention for a great amount of time are highly ranked. Having in depth, descriptive content and keywords that reflect that content will mean that more people will see your website in their searches. It is good to include keywords amid your high quality content, as long as you are doing it legally. All pictures and links should have descriptive titles that are relevant to your site’s subject. Having descriptive file titles and text links will provide a better search experience for you and them. If you give the images on your website a title that accurately describes them, it increases the chances that people who want to see them will find them It is common sense that the more content you have to be searched, the more people will find you. Have many reputable websites link to your site (this will not only increase your ranking, but generate more leads), and keep your visitors there for a long time. Lastly, link your page to social media; facebook, twitter, and google+ widgets increase your websites legitimacy in Google Penguin’s eyes. This will not only improve your ranking, but make your website or service easier to find, follow, and broadcast from.